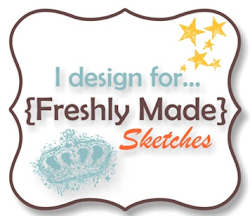 We have a new sketch for you over at Freshly Made Sketches. 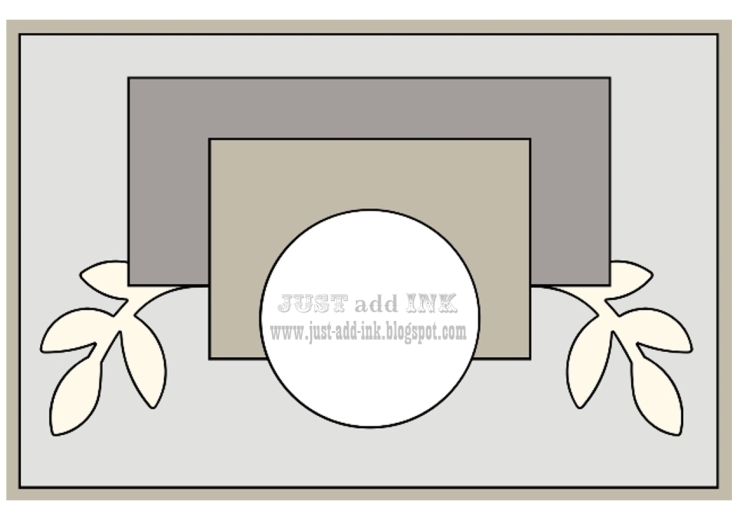 Our sketch designer this week is the wonderfully talented Jennifer Timko. 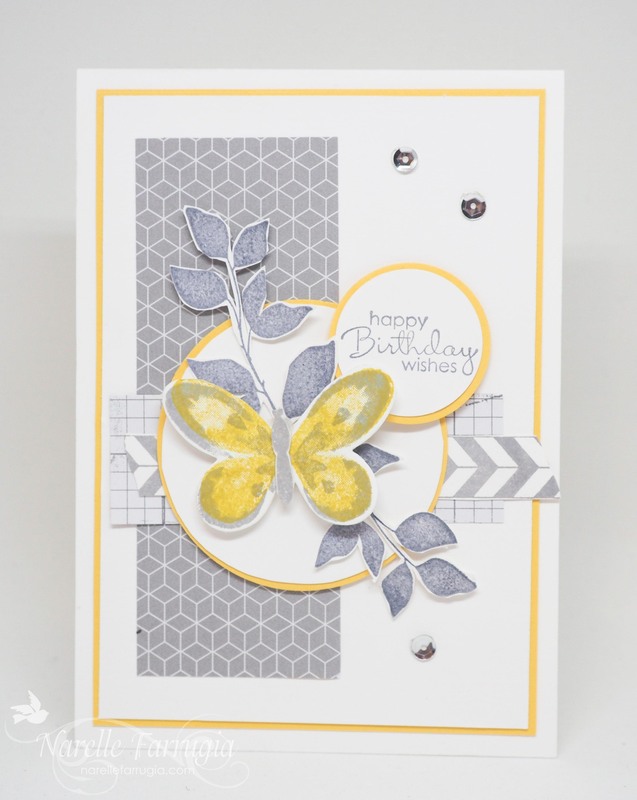 Jennifer’s cards are lovely and clean – head over to her blog and be prepared to be inspired. Floral Boutique Designer Series Paper has some gorgeous papers in it. 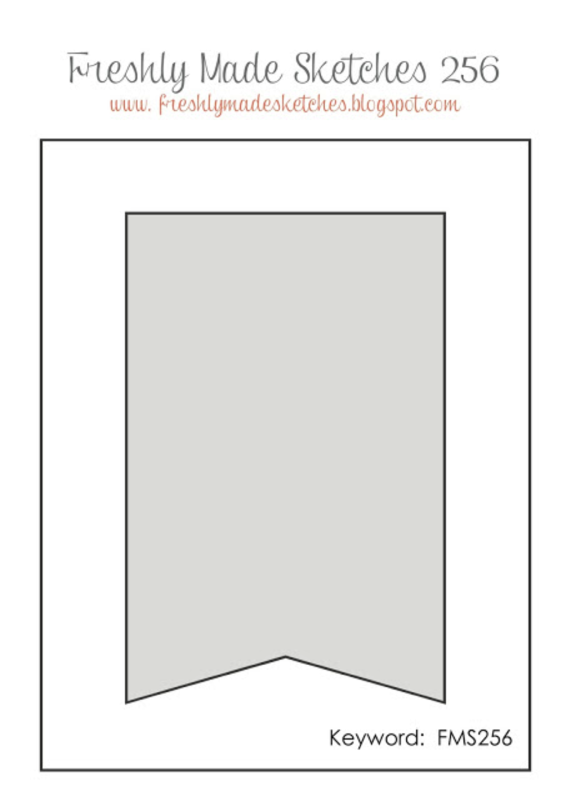 I chose this stripe-y-watercolour- like paper to use as a banner. 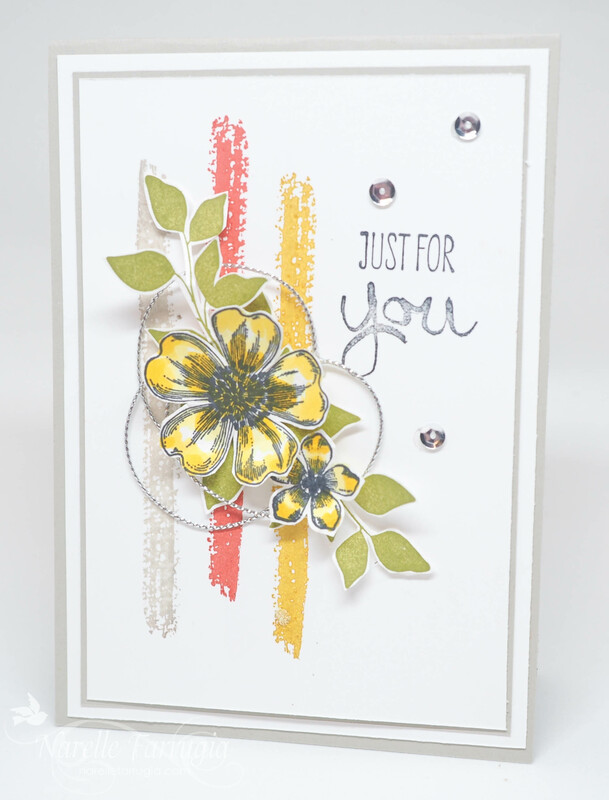 I dragged out Summer Silhouettes – it’s my all-time favourite leaves stamp and inked it up in Pear Pizzazz. The flowers are from a set called Swirly Bird and I’ve stamped them in Dapper Denim and Peekaboo Peach – a combination I think is really sweet together. The talented Clean Team have created gorgeous inspiration for you, so head over to Freshly Made Sketches and take a look. We would love it if you could play along with us. I usually only hold about 6 workshops a year. Mainly because I work a 9-day fortnight and don’t get a lot of time to prepare for them when my weekends are generally full with boring grocery shopping and even more boring cleaning and laundry stuff. 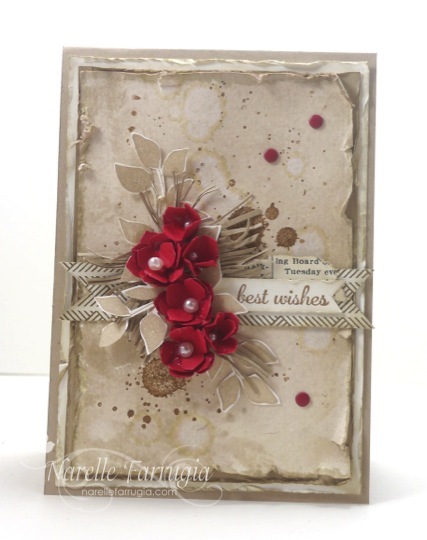 I’m holding a class this weekend and thought I would share the cards that I have made. You’ll notice I tried to simplify them. Well, as simplified as I can get. I wanted to show the group that you don’t have to use a huge amount of designer series paper to get impact on your cards. In fact, I’ve only used a smidge on each card. I can see that Pop of Pink Specialty Designer Series Paper is going to be a favourite of mine. 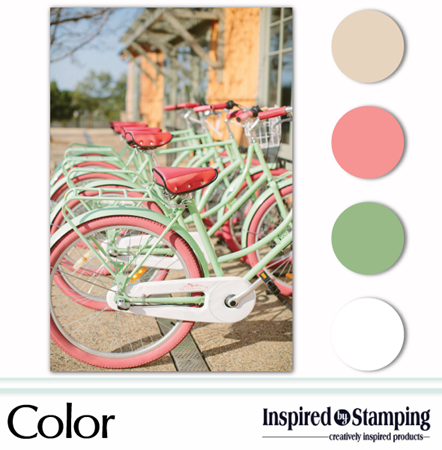 My first card is using some new products from Stampin’ Up!s 2016-2017 Annual Catalogue. 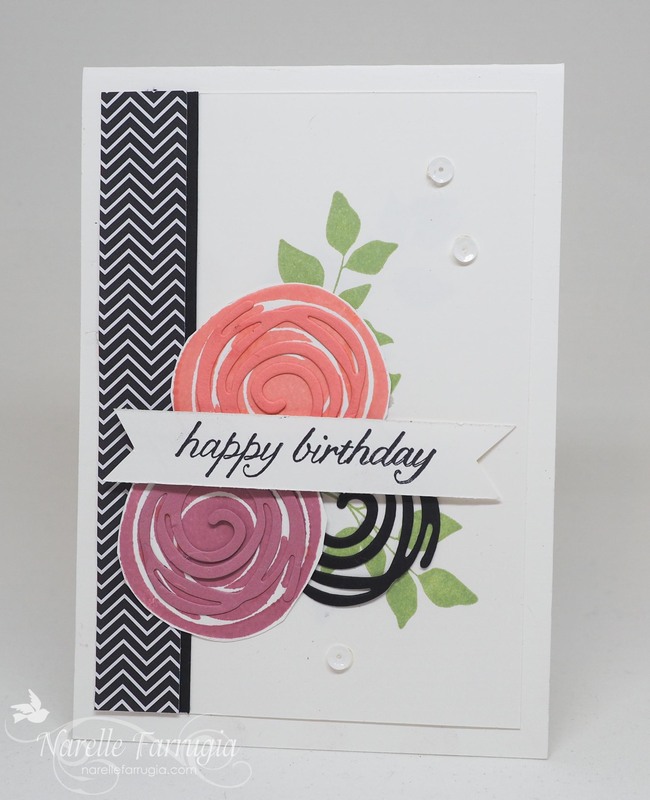 I’ve used Swirly Scribbles Thinlits that match Swirly Bird stamp set. I just love how easy these products are to use. 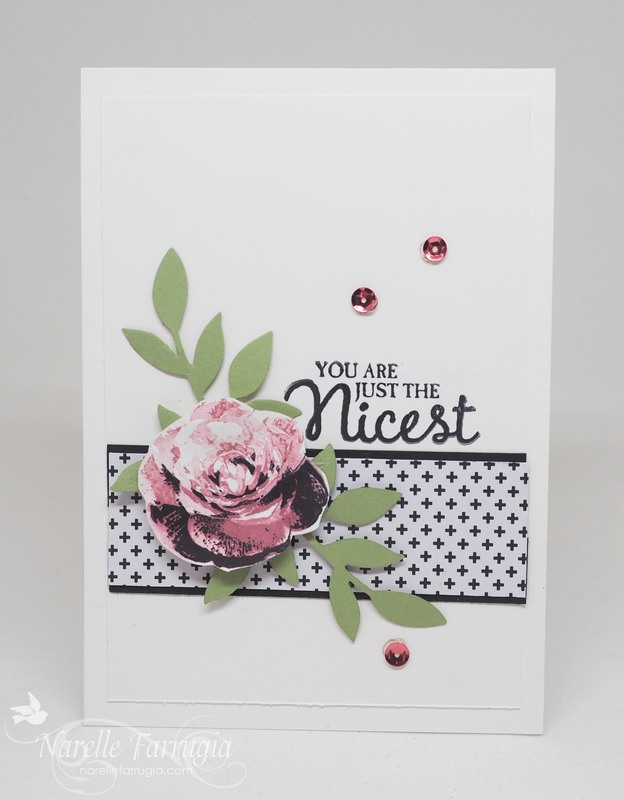 The colours I’ve used (and carried over to most of my other cards) are Basic Black, Whisper White, Pear Pizzazz, Flirty Flamingo and Sweet Sugarplum. These little scribbles dies are pretty versatile. 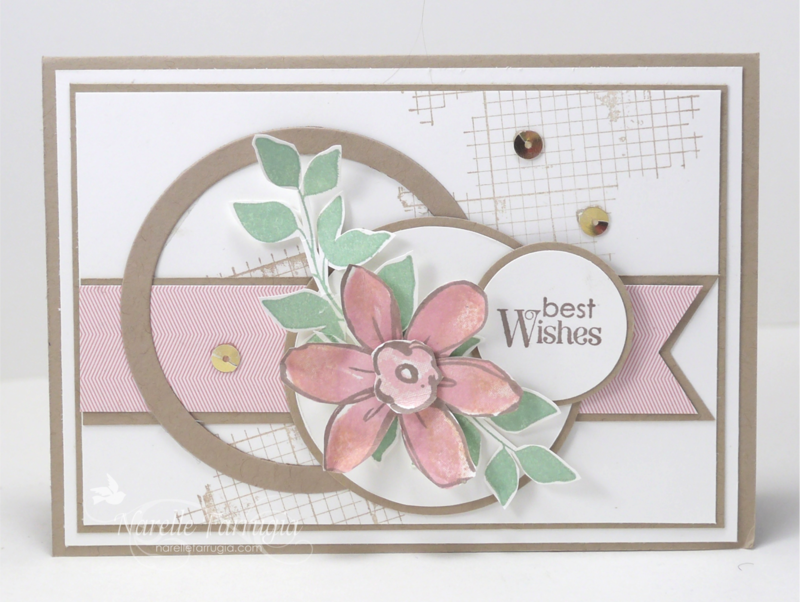 I decided to create a wreath with my next card and added some flowers stamped in Flirty Flamingo and Sweet Sugarplum. I then added a black banner sentiment from Time of Year. For my third card, I wanted a quick and easy card in case we are running out of time. Even though Picture Perfect was in a previous catalogue I didn’t actually purchase it until now. I saw so many cards with this pretty flower on it and decided I needed it – as I often do. And lastly, I thought we could finish off our day with a man card. 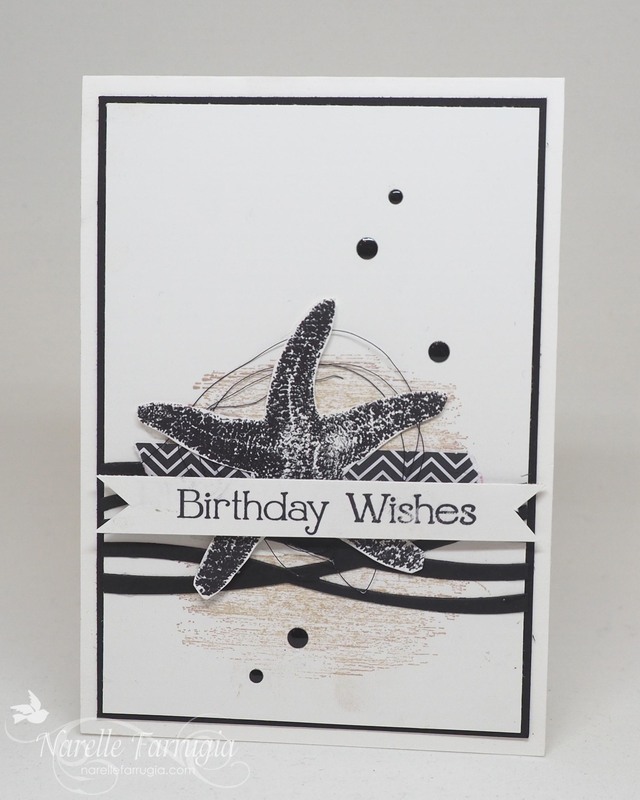 The starfish in Picture Perfect is perfect for a masculine card and although I was keeping to the theme of Flirty Flamingo or Sweet Sugarplum, I decided to leave those two colours off this card. 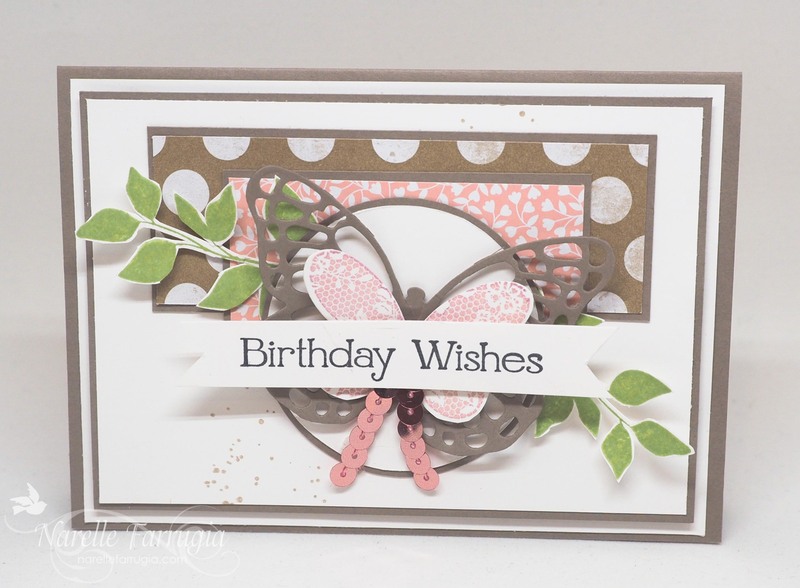 I stamped the watercolour-type stamp from Timeless Textures in Crumb Cake behind my starfish and added the wave-like die cut from Scribbles Thinlits. I was able to spend a little bit of time in my craft room this afternoon – this doesn’t seem to happen a lot lately but I’m hoping this will change as my son’s footy season finished yesterday! I get my Saturday’s back!!! 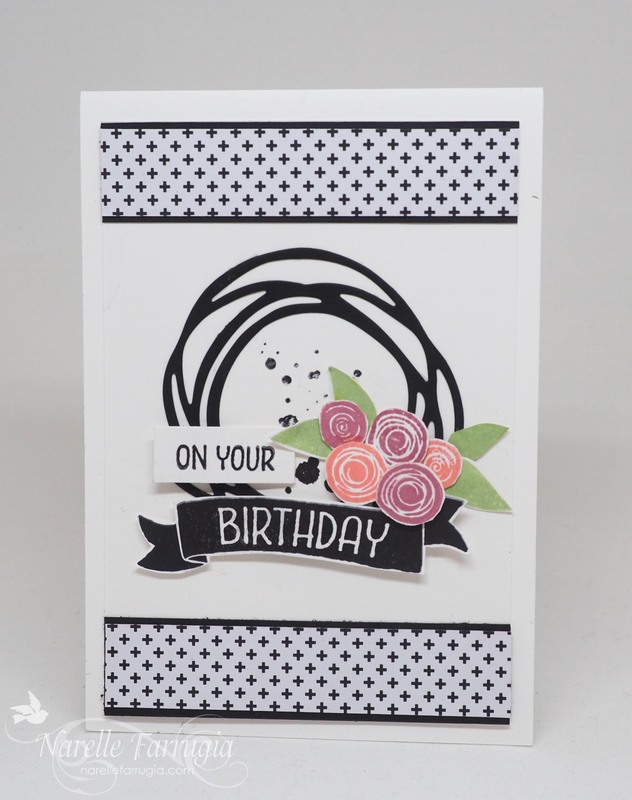 The card I’ve made is for two challenge – Mojo Monday Sketch Challenge and Inspired by Stamping Inspiration Challenge. I’ve been out of action again for a couple of days with a migraine and the only day I get craft headache-free and it’s 36 degrees outside! I really need to get myself a portable air-conditioner for my craft room. Because I was so hot I only made one card, but I managed to combine it for two challenges – Pals Paper Arts colour challenge and the sketch challenge at Cardabilities.